Are you wondering if you should fill out an application for iHop? Consider how much you enjoy working with the public first. Usually, in restaurant work (whether your job is in the kitchen washing dishes, on the line as a cook, or in the front waiting on customers), you will need to be a people person first and foremost. Nearly all the online employee reviews and comments from people who have worked at iHop are positive and state that they are glad that they worked for the company. Most jobs are only part-time, and the flexibility, the number of hours per week, and the benefits vary from one restaurant location to another. The only way to know if the hours and benefits you need are available at the restaurant near you is to stop by and pick up an iHop application and talk to the hostess, servers, and assistant manager about your needs. If you like working with people, enjoy serving people (and eating a free meal), and like working with coworkers with smiling faces and good personalities, check out the iHop careers, and think about where you could go in this company. You can apply for a job with iHop by clicking iHop application online form. This will take you to the iHop careers page. To search for jobs available, click on the icon marked See iHop Careers in the upper right-hand corner. On the Browse Open Jobs page, you will see the jobs available across the United States as well as for online (virtual). This is also the page where you can view all the resumes you sent to various iHop openings. Click on the one of your choice to see the qualifications required and job description. At the bottom right of that page, you will be able to fill out and submit the iHop job application form. Both iHop-owned and operated restaurants and franchises accept online applications. iHop has franchises across the United States. Each franchised iHop restaurant has its own set of job descriptions, required expectations, and pay ranges. Before filling out and submitting your iHop employment application, read the descriptions provided for the opportunity. In general, the company accepts iHop online application for management level and above. 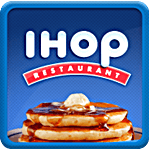 For server positions, locate your local iHop with a Google search, and drop by to pick up an iHop application form. When you go to pick up your iHop application, if you are applying as a cook, hostess, server, or kitchen help, it is important to look nice. No dirty clothes, ripped or stained shirts, jeans, or shoes. Make sure your hair and nails are clean, and don’t wear makeup as if you are going to a rave. Even if you leave your application with the hostess, the manager will ask the employees what impression they had of you. If you have made a good visual impression and your application interests the manager, you will receive a telephone call to come in for an interview. Dress in casual clothes but absolutely no jeans, sandals or miniskirts. After you submit your iHop application online for management or corporate positions, you will receive an e-mail or phone call from management if they are interested. Make sure that your contact information is up-to-date and that you answer every call in a professional way. You never know who is on the other end of the line. If you have never worked in a restaurant of any kind, you should be prepared to do a lot of cleaning. In restaurant work, this is called “side work.” Everyone has extra work besides their main job description to complete every time that they work. If you get hired, learn to ignore the complaints of other workers about how much more work your shift does than any other. This is a typical complaint among restaurant staff. Everyone in the field of food service works hard regardless of their position. For many people who put in an iHop application, it is the first job that they have had. If you are one of these, you need to know that managers and assistant managers in all work situations are fairly strict about what you do, when you do it, and how you perform your job. It is managements’ responsibility to answer to the owner for any customer complaints, problems with food or service, and the amount of sales each night. They don’t mean to be hard on you, but it is the details of service and cleanliness that make the difference. When you fill out the iHop job application, it will ask you about hours and wages expected. If you work as a wait person or busboy, you will be making very, very low wages—below minimum wage. Wait staff and busboys depend on the tips that they make for the main part of their income. If you want to make more, you have to work hard at being the best server or helper in your restaurant. For those applying for management positions, pay scale calculators that you find online are not very accurate reflections of how much is actually being paid. In filling out your pay expectations, give a range that is acceptable to you but not less than you can afford to make and still pay your bills. The benefits offered at iHop differs according to the franchise owner and the location. iHop holds the National Pancake Day once a year to raise money for children’s hospitals around the world, tempting occasional customers with free pancakes for the kids. iHop has contributed more than $10 million dollars to this organization. In addition to the corporate sponsorship and fundraising effort, many local franchises support events and hold fundraisers for local organizations too. During your interview, ask the company participates in any of these activities. Maybe you should offer to organize one if they don’t.